“Friday April 22nd 1864. A very fine day. Went out for a walk round Cole’s Lane which I enjoyed very much, for although the high road was hot and dusty, the lanes were shady and cool”. This extract from the diary of Frank Chavasse shows that Wylde Green was still a rural spot in 1864 - a landscape of fields and country lanes with the coach road from Birmingham to Sutton running through it. Francis James Chavasse (1846-1922) lived at Wylde Green House (demolished in 1952), on Birmingham Road near the junction with Wylde Green Road. His father was the wealthy Dr. Thomas Chavasse; in 1861 the household consisted of the doctor, his wife and eight children, who were looked after by a staff including nurse, housemaid, parlourmaid, cook, groom, gardener, and a fourteen-year-old page boy. Frank began his diary on his sixteenth birthday, 27th September 1862 and continued it for the next six years; the volumes are now in the Bodleian Library at Oxford. The diary is there thanks to Frank’s later life - he was Bishop of Liverpool from 1900-1920 - and they have recently been studied by Janet Jordan. Janet will be giving a talk based on the diaries at Sutton Library later this year - if you would like to hear it, please contact Janet by telephone at 439 1046. A copy of the diaries, transcribed and indexed by Janet, is now in Sutton Reference Library. Frank needed a supply of bran for his guinea pigs and rabbits, and a working corn mill was not far away - New Hall Mill was only half a mile down Wylde Green Road, but uphill all the way back.. Then it was all rural - the railway line was not built until 1879 - now it is all residential as far as the railway; however, New Hall Mill itself still has a rural setting, as you will find if you go to the Mill Open Day on Sunday May 10th. The millstones will be grinding the corn, as they were on that November day in 1863; the millers will be “well floured” as Frank was, and if you like you can come away with some bran for your gerbils. 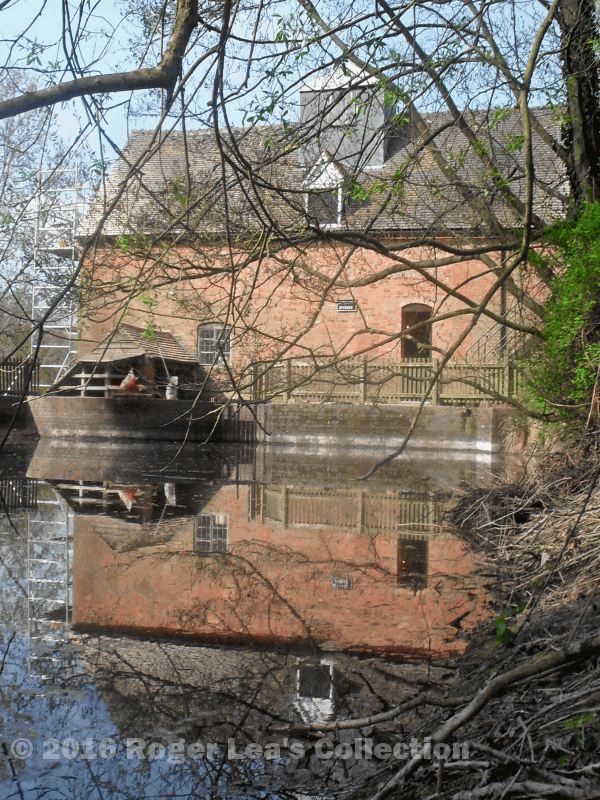 New Hall Mill, reflected in its millpond. Frank Chavasse sometimes came to fish here - now there is a sign on the wall “No Fishing”.